My friend has written a YA sci-fi series and the first book has been released! I realized that I've been a bad friend by not talking about it more!! 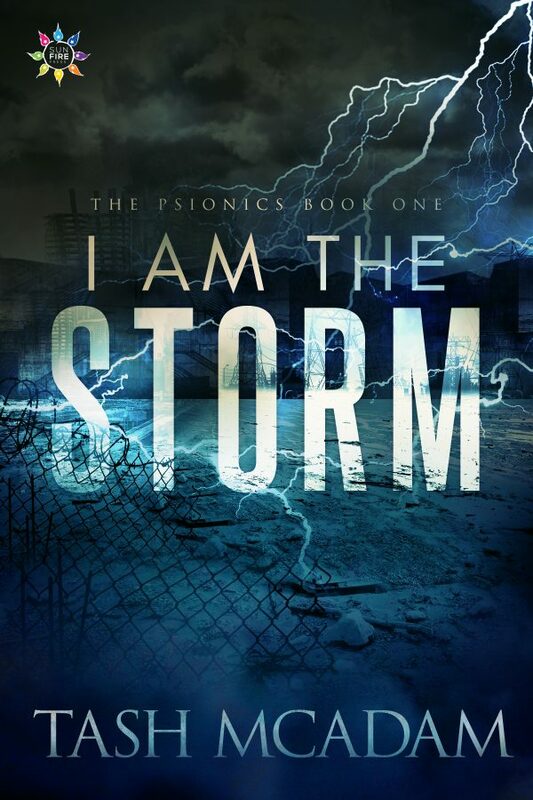 I Am the Storm is a really great action-packed read. It's part small-team adventure and part thrilling escape! Tash writes action and tension really well. It's hard to put the book down, because you're pulled into the story as soon as the action kicks off in the first chapter. It follows two perspectives - Sam, who's secretly a little TOO good with technology and who quickly finds himself on the government's radar and locked in a facility, and Serena, who's a junior officer in the rebellion and has been sent to figure out what's got the government in a tizzy. BUT, before you think that those names give away some sort of romantic subplot - think again! Tash is queer themselves and knows people want more than a predictable cishet shoehorned romance plot. These teens have more important things on their mind! It doesn't mean that they don't love, but Tash's diverse cast, and realistic protagonist priorities, means that who they love isn't the focus of the story, nor predictably answered.